A premium quality natural white 60 lb. medium weight acid-free paper with light texture is ideal for charcoal pastel pencil or pens. 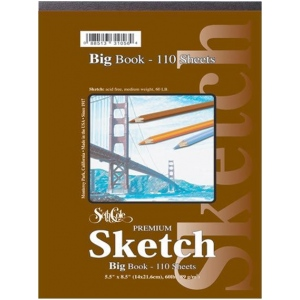 * Identical to Strathmore’s 400 series sketch paper. * With durable heavyweight chipboard back cover.